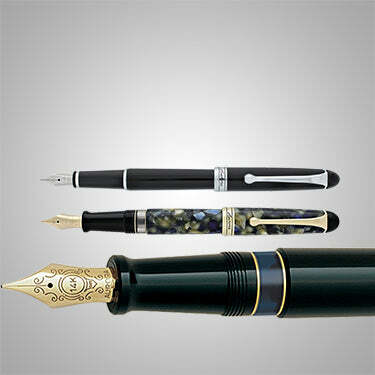 For a century the name Aurora has been synonymous with high quality, good taste and fine Italian craftsmanship. 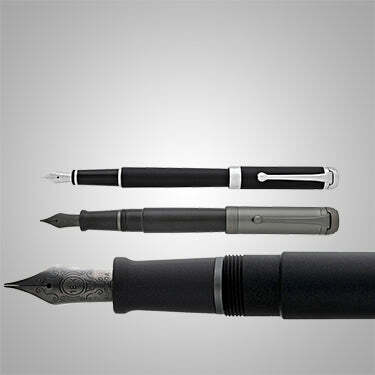 The constant tension between modernity and tradition infuses, within the forms of a pen, all the philosophy of a company that is awash with history but which has at the same time always demonstrated that it knows how to look to the future. 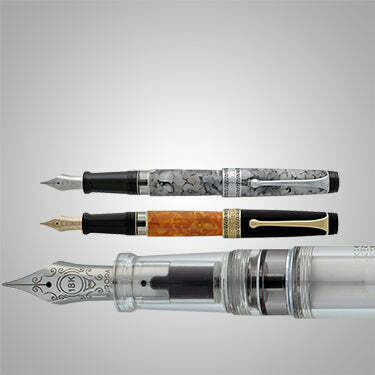 Goldspot is an authorized dealer of Aurora luxury fountain pens and inks, all made in Italy. 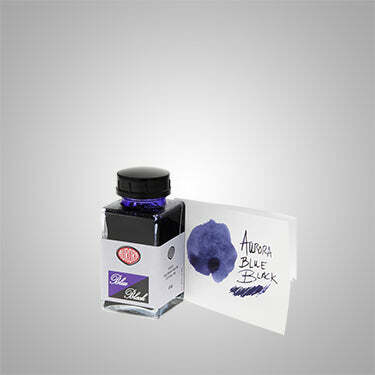 Aurora AlphaEvery new journey into thought and expression begins with new sensations. 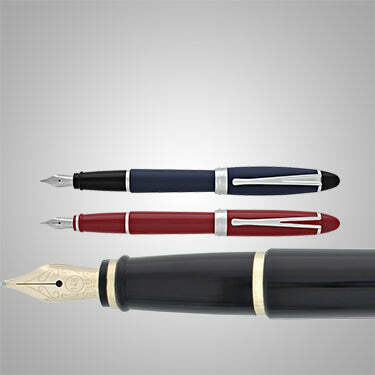 An exciting, new design from the historic Aurora Pen company. 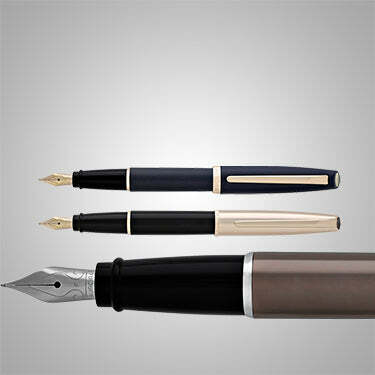 Aurora 88 Pen CollectionDesigned by the Marcello Nizzoli, this legendary model from the 50’s has a modern design. Available in limited edition models as well. Aurora IpsilonThe Ipsilon is eye catching with its innovative design, personality and characterized by the exclusive Aurora designed "Y" shaped clip. 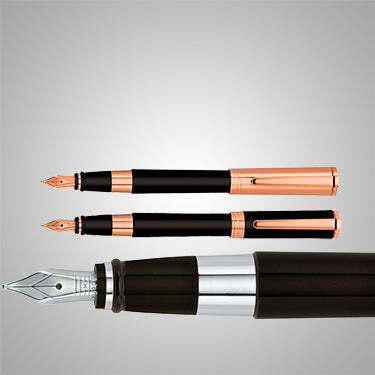 Aurora Limited EditionsThese spectacular limited editions take inspiration from various important places, experience, etc. 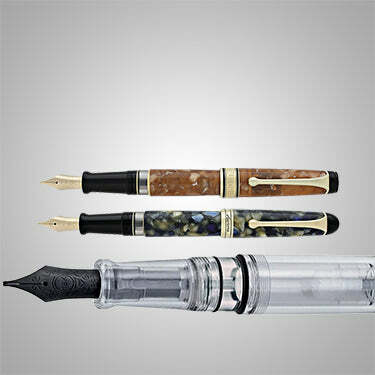 Aurora OptimaPrecious materials, craftsman finishings, attention to details. Optima re-evokes the elegance of a model from the Thirties. 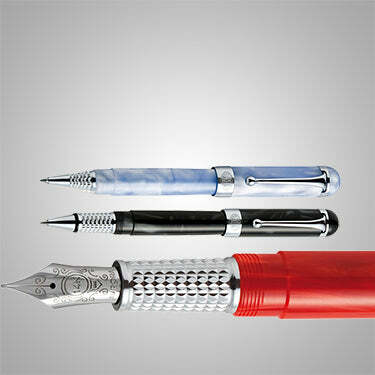 Aurora StyleA style upgrade to Aurora's most iconic pen design. Featuring precious metal looks in sophisticaed aluminum finishes. Aurora TUA collection reflecting a modern, young and metropolitan style. The Turinese company, symbol of the Italian excellence. Aurora TalentumPast and future, tradition and innovation blend together in an instrument of modern design and extraordinary technical precision. Aurora RefillsShop all Aurora Pen Refills, including bottled ink, long-life ballpoint pen cartridges and fountain pen converters.